The Simca Marmon SUMB is a French Army 1500KG truck manufactured from 1959 until the late 1960s (although some were rebuilt by Renault around 1990 with diesel engines and modern braking and electrical systems). 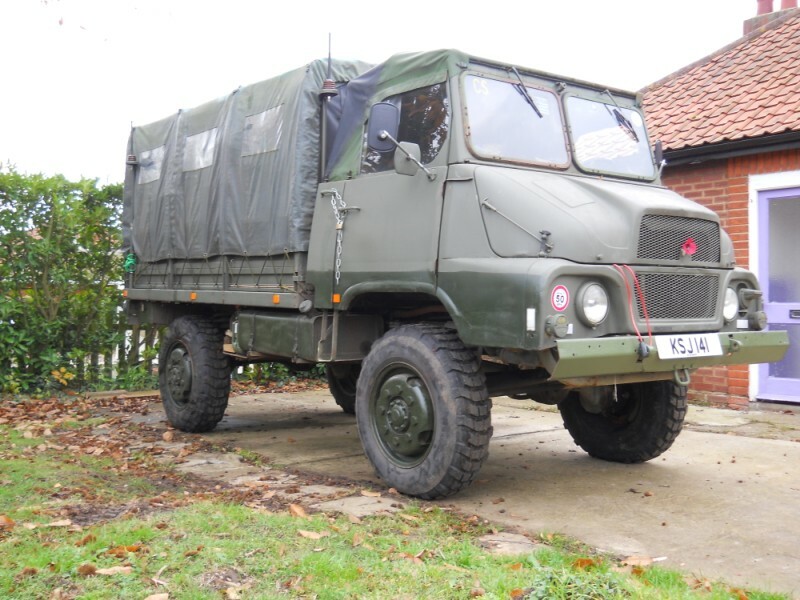 The SUMB was in service from about 1964 until the late 1990s and fulfilled similar roles for the French army to the British Humber 1 ton, Austin K9, Landrover 101, and Reynolds-Broughton RB44 did during those years. Although later radio installations used a cabin the original design was based on a soft top with four stub masts for jeep-style MP65 antenna bases at the corners of the pick up body and I am working to that design in my restoration. The intention is to end up with a late 1960s external configuration and a Clansman based radio fit (for compatibility with modern amateur stations - the original VRC10/VRC18 fit would be a little too dated and the French SSB transceiver TR-VM-10 is very rare) internally. My SUMB came from an enthusiast in Cambridgeshire who had to give up the project due to ill health, having bought it a year previously from the farm where it had worked since being imported to the UK in 1998. I have collected some links to other sites with Marmon info here. I have prepared an index of SUMB videos on Youtube which is here.